Rhinebeck- Marie F. Vilagi, 96, passed away peacefully at her home in Rhinebeck, surrounded by her loving family. Born December 3, 1921 in New York City, she was the daughter of the late William Xavier and Magdalene (Zeh) Siegmann. On April 18, 1942 in Astoria, NY, she married John Vilagi. Together they lived on Long Island until John’s death in 1991. 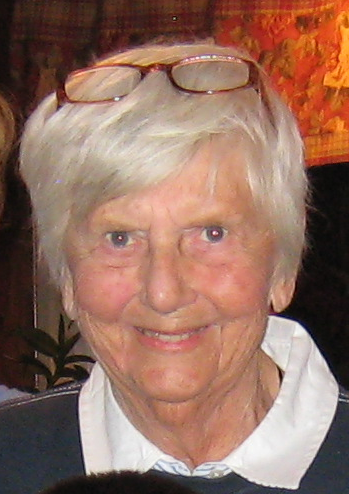 Marie then relocated to Rhinebeck in 1992 where she enjoyed volunteering at the Astor Home and the Starr Library. She enjoyed reading, traveling, playing scrabble, and she loved her iPad. Marie is survived by her children, Marilyn (Jeff) Smith of Napa, CA, Katherine (William) Gallagher of Stanfordville, John (Laura) Vilagi of Anaheim Hills, CA, and Patricia (Dean) Miller of Rancho Palos Verdes, CA; grandchildren Maura, Jennifer, Amanda, Emily, Wiley, Ryan, Kyle, Alana, and Nino; great-grandchildren Zoe, Katelyn, Joseph, William, Cole, Gregory, Ella, Donal, Anna, and Piper, as well as many friends in The Woods Community. In addition to her parents, she was predeceased by her brother George and sister Vera. Calling hours will be held at the Dapson-Chestney Funeral Home, 51 West Market Street, Rhinebeck, on Friday May 11, from 4 to 7 PM. Mass will be celebrated on Saturday May 12, 2018 at 10:30 at Good Shepherd Church in Rhinebeck. Memorial donations in honor of Marie can be made to St. Jude Children’s Research Hospital, www.stjude.org.